SHERIDAN, Ark. -- Sheridan High School senior, Sean Fitzgerald, son of Dennis and Lee Anne Fitzgerald, recently accepted an appointment to the U.S. Naval Academy. With an acceptance rate comparable to those of Ivy League schools like Yale and Princeton -- the U.S. Naval Academy is ranked one of the most challenging institutions of higher learning to get into. Fitzgerald first learned of this exciting news from U.S. Rep. French Hill, who personally called to congratulate him on his acceptance. 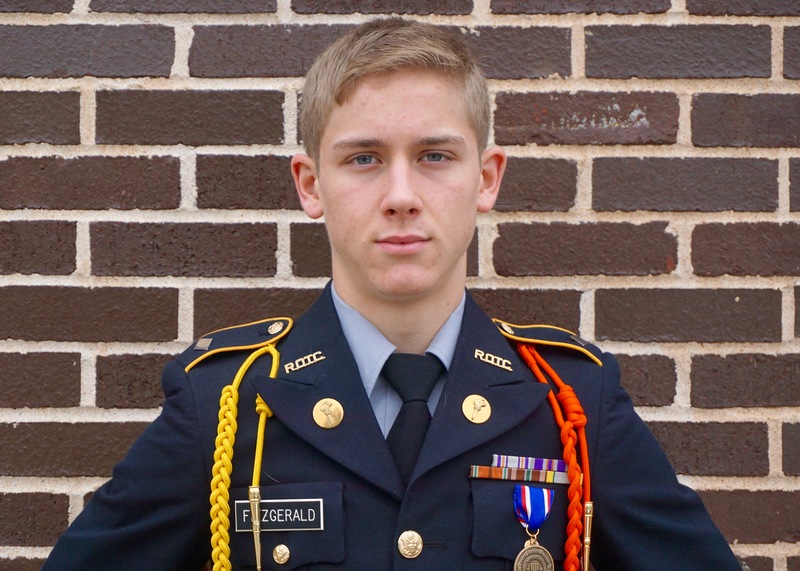 Fitzgerald received a nomination for the Naval Academy from both Congressman Hill and U.S. Senator Tom Cotton. After learning of his appointment, Fitzgerald said he was speechless and that it brought his mother to tears. “Everyone was really happy,” he said. According to Lt. Col. Clark Easter, the JROTC Instructor at Sheridan High School, Fitzgerald is very deserving of this appointment. "Mr. Fitzgerald is the real deal,” Easter said. “Unlike most scholarships which are based primarily on just academics or athleticism, an appointment to the U.S. Naval Academy looks at the whole person. He is a scholar, athlete, leader and a community servant. He embodies what the military is looking for in its future leaders." When asked what inspired him to pursue a career in the military, Fitzgerald said his two main sources of inspiration were his father, a retired Naval commander, and his involvement with the high school’s JROTC program. Four years in the JROTC program, under the direction of Lt. Col. Easter and Sergeant Major Darryl Dean, was where he learned how to take commands and what it means to have a purpose in life. “I was guided to understand a purpose bigger than myself,” he said. But what he is looking forward to most is using what he will learn from his training and career in the military to make an impact in his hometown of Sheridan, Ark. Fitzgerald plans to move back to Sheridan after he retires so he can give back to the community which provided him with the opportunities that led him to where he is today.